Whatever the case, there’s no denying pediatricians are very knowledgeable and hardworking professionals. Unfortunately, they know a lot and let on so little. But let’s not forget that doctors are doctors whether they are GPs, surgeons, gynecologists, or pediatricians. And in the end, most of them behave in the exact same manner! In the case of a child, it becomes a lot harder for a doctor to communicate the advantages of healthy eating and good sleep. The first reason being the fact that their patients, the children don’t care They care more about the candy they will get than anything that could be said about their health. The second reason being, parents and their annoying questions. My God, the questions. And yes, those questions can be the stupidest questions imaginable. Due to misinformation (via relatives, friends or even the internet), parents could act opposite to their than they should when it comes to their child’s health. So here are 15 points that one’s pediatrician really wants to tell their patient, as well as their parents. Contrary to what was taught to the previous generation of children, sugar is not good for a child’s health. When we say sugar, we mean ‘free’ sugars. This is the sugar that is added to candy and cake and fruit juices (yes there is artificial sugar in fruit juice). Sugar found in fruits, vegetables, and milk is not ‘artificial’ and as such it is safe. So as much as we were told that the brain needs sugar to function, it does not mean we should pump ourselves full of artificial substances. If there must be sugar in a child’s diet, it should be at most 5 teaspoons a day and children should not have sugar treats as a norm. It quickly becomes their cocaine. Foods that are high in free sugars are low in vitamins and minerals and may deny a child what they need to develop properly. Many moms often think that their baby may have diarrhea when their baby poops a lot. Especially if the poop is runny. It is a common and valid concern, but it ends up being a false alarm more often than not. The bowel moments of many breastfed babies tend to be loose and seedy and as such can be mistaken for diarrhea. The way to check for diarrhea must go beyond examining the look of the stool and attention should be shifted to the frequency. When a baby is born, they will poop as often as they eat (that is one poop per meal) and for some babies it may be a little more often, but after about two months, this frequency should reduce. If a baby truly has diarrhea then the frequency would be about twice or three times the regular frequency. And only then should a doctor be consulted. Contrary to popular belief, the immune system on a child is much stronger than that of an adult. What this means is that a child can ward off more attacks on their health than we can as adults. If a parent is unsure of what their child may be allergic to, say peanuts, gluten or even dairy products for example, they are advised to introduce small amount of the potential allergenic foods to the children’s diets before their first birthday. The American Academy of Asthma, Allergy and Immunology (AAAAI) released a recommendation supporting this theory and they say that delaying the introduction of allergenic foods could be detrimental to the well being of the child. Introducing these foods early on can help fight food allergies accordingly. Most importantly, the guidelines also note that exclusive breastfeeding for at least four months may provide some protection against cow's milk allergy in infants. Of course, in such cases it is best to opt for plant based milks, which are much healthier than cow’s milk anyway. It really is okay to develop fevers once in awhile. When the body develops a fever, it means the immune system is active and is currently warding off infections. This should bring some relief to the parents because fevers actually mean their children are okay. Parents are advised not to rush into medications as the first step to curing fevers. Observation is key as a fever of 103-104 degrees is not harmful to the child. Should the child’s temperature be higher than that, a pediatrician can be called in for examination. 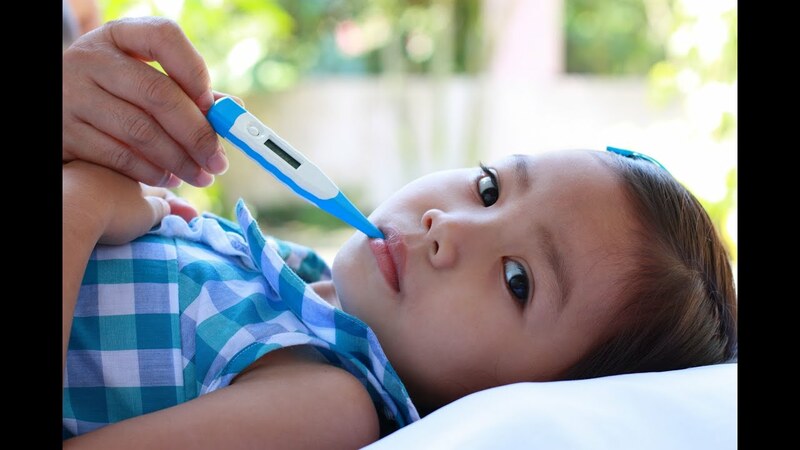 According to a recent study in the journal ‘Pediatrics’, 91 percent of parents still think that a fever has a negative or harmful effect on a child. Needless to say, this is a bit of an overreaction. Adding to that, A study published in the February 2004 Journal of Allergy and Clinical Immunology found that children who ran a fever during their first year were less likely to develop allergies later in childhood than children who did not have a fever. Some children may have a hard time with this, because many parents have already made the sugary drink the number one drink without knowing it. If a child is brought up with water as an essential part of their diet, it becomes a lot easier to keep them on the right track. The American Heart Association confirms that the sugar in soft drinks contains zero nutrients, and they come with a lot of calories and weight problems. So even if it is hard for the child to understand that water has minerals and it aids their digestion and immune system health, it is the duty of the parents to ensure that water should be a part and parcel of their child’s every diet. If a parent finds it difficult to do so, here’s a trick. Drill it into their heads that water is the king of all drinks, and only kings and queens value it. This gives them the impression that water really is an important drink, and that they should drink more water. Now while this isn’t related to pediatrics per se, it does not invalidate the point in any way. According to the Cleveland Clinic, reading helps build a child’s self-esteem, relationship with parents and others, and success in later life. A person who reads is a person who leads, and if a child is not a reader, the chances of them reading later on in life is slim. A mind that does not read is starved of relevant information and self-expression and while it may be second nature to want to run away from books as a child, in adulthood, it just doesn’t work. 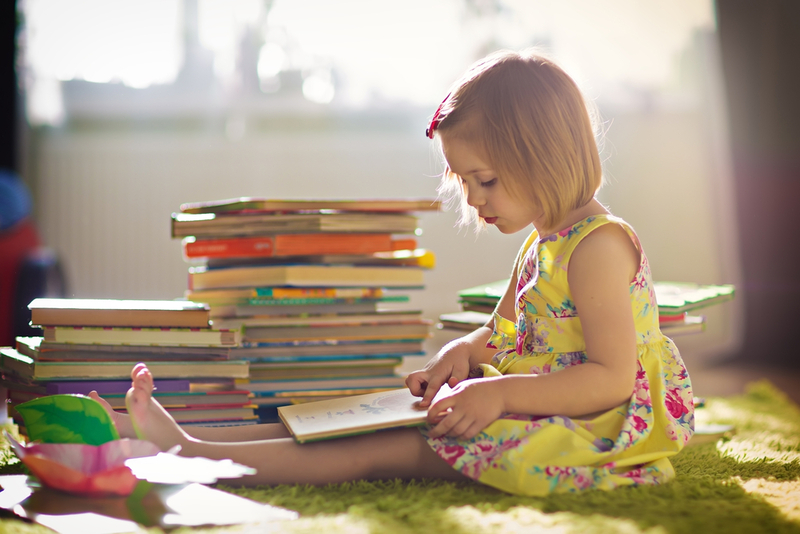 Parents should make reading a part of the child’s routine, along with playing and eating and sleeping. The Cleveland Clinic also suggests that reading should begin as early as six months, which is a boss move. It helps mold these children into reading machines and would greatly improve them for the future. If a child is ill, parents quickly assume that their immune system can’t handle the infection, and they try the best options they can imagine to aid their child’s recovery. Antibiotics are usually the first thing they opt for, but according to experts in the field, it may not be the best thing for a baby, especially in the first year of their life. The healthy bacteria in our bodies work to regulate the immune system, so wiping them out through the excessive use of antibiotics could have severe consequences, like autoimmune diseases and even rheumatoid arthritis. It has also been observed that children who used antibiotics have a higher tendency to exhibit Juvenile Idiopathic Arthritis. Another thing about these antibiotics is that they may alter the way our bodies absorb foods and may lead to obesity in the future. So it is advised to stay away from them especially when it comes to children. Most children need just about 8 ounces of milk a day in order to build healthy bones. Parents who do not know this have the tendency to pump their kids up with milk to the extent that it becomes excessive. Amy Lanou, a professor of nutrition at the University of North Carolina in Asheville, says that children really don’t need as much milk as mothers think they do. Most people in the world do not drink milk after they are weaned from breast milk, and yet still get adequate nutrition, she added. Why would she say this? Milk has been said to be a rich source of calcium and Vitamin D, however, parents need to keep in mind that the milk that we get today from commercialized dairies, are less milk and more chemicals. Cows can only produce milk up to a certain limit, right? They are forcefully injected with 20 different chemicals to make them produce more milk. So that’s 20 unnecessary chemicals parents expose their children to with every glass! Not to mention that over 75% people on the planet are lactose intolerant, which means that most mothers are forcing their children to consume dairy, when in fact their tiny bodies cannot handle all that milk! Babies do not make melatonin in the first four weeks of their life so they have no sleep regulation rhythms or patterns. This is why they sleep more during the day and get into their party mode when the parents are ready to sleep. The truth is that the baby doesn’t care and we all know that no parent will enjoy their sleep when the new royalty of the house wants to eat – or cry at night.The only way around this is to wait it out till it the baby adjusts. This usually happens without any input on the parent's part, but there is a way a parent can help out. Keep the surroundings lively during the day so that the tendency of the child falling asleep is reduced. Then go ahead and make it extra quiet at night. This will speed up the baby’s circadian rhythm. Before that however, it is advisable to sleep when the baby sleeps so that it will not be so much of a burden when the baby is awake. One thing pediatricians want to tell parents is that it is okay to sleep. From when a baby is a newborn, to the time when they start to grow, up till the 7-8 year bracket, most children do not like to sleep. Or rather, they prefer not to sleep. To top it off, drowsy children don't necessarily slow down or feel sleepy like adults do. On the contrary, they wind up and become hyperactive. The fact is that babies and children require more sleep than adults, in order for their physical and mental development. The best time to put children to sleep is between 7 and 8 pm at night, regularly. A strict sleep schedule is necessary to adjust the baby’s or child’s body clock accordingly. However, if despite the parent’s best efforts the child does not sleep, then maybe they suffer from a sleep disorder. In such cases, take them immediately to their pediatrician for a checkup. Babies sneeze and hiccup a lot and this is nothing to worry about. Babies have amniotic fluid in their noses that they need to clear, but they don’t know how to blow their nose. These amniotic fluids left them probably sneezing in the womb and the sneezes most times continue outside the womb as well. This point is important to mention, because most times a parent can think a sneeze means their baby is having an allergic reaction. This in turn can create panic for them as they rush to the doctors office and ask about giving their child an antibiotic. If a parent is worried about the sneezes, then a professional should be consulted so that the best approach can be followed. Keep in mind though - a medical practitioner should only be called in if the sneezes get worse. Initial observation from the parents is required and besides, who doesn’t like tiny baby sneezes? All parents are guilty of thinking that their children should have the best in life. The definition of ‘the best of life’ however seems to vary from one parent to another, but the common consensus would agree that these tend to be expensive gifts, which are almost always gadgets. For a lot parents, ‘the best of life’ means a TV in the children’s room, but according to experts, that is a big No. Children who have a TV in their room are twice more like to develop smoking habits as adolescents and they also have a higher tendency of becoming junk food addicts, failing standardized tests, having nightmares, and being obese. That is enough reason to say no a TV for the child. If the child must have access to a TV, then the TV should be placed in a living room where everybody has access to. The TV time should be regulated and they should not be allowed to watch TV less than one hour before going to bed. This is done to avoid nightmares. Oh, the baby has a rash? Let’s take the car out of the driveway and drive as fast as we can to the pediatrician, shall we? But the truth is far from it. There is no need to run to the doctor’s office because of a rash, especially if the child is not itching or wincing in pain from it. 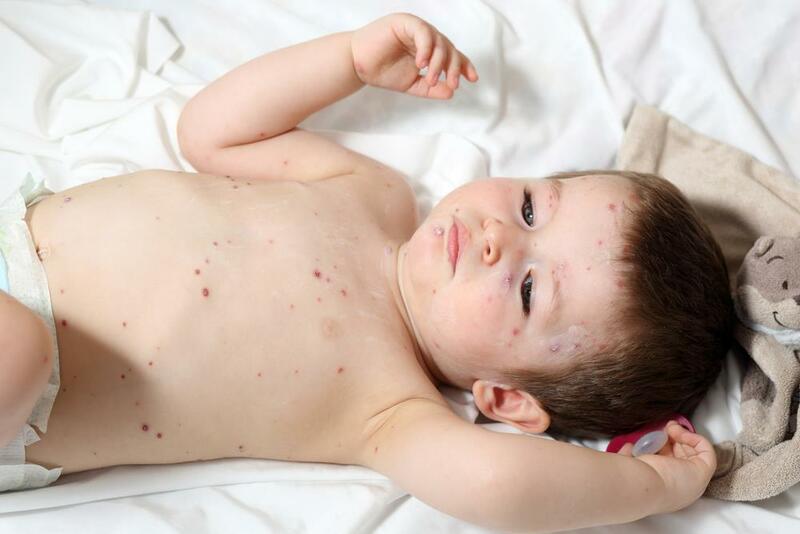 A rash is nothing to be rash about until it remains on the child’s body for three to four days. Most rashes are caused by the fact that the child’s body may not be used to a certain temperatures and these usually disappear in a few days. Apply some Vaseline, Eucerin or Aquaphor, cover it up, and wait. If parents don’t see improvement after a few days then a pediatrician can be called into the matter for an examination. Immediately rushing over to the doctor ends up in the parents wasting their own time, as well as the pediatrician’s, who definitely has better things to do than to explain how rashes work, to paranoid parents. A lot of parents are pretty guilty of doing this. And there are so many ways of doing this! For starters, parents must understand that if they do not have an appointment, the doctor is under no obligation to see them. Creating a scene will only end up making the parents look like fools. The best thing to do, of course, is to talk to the front desk and figure out if the doctor can spare some time to see the child. In case of emergencies, of course, exceptions can be made, but in a majority of other cases, parents must understand that everybody’s time is valuable, and that those waiting in line too have important things to be doing instead of sitting in the waiting room. Second, when with the doctor, do not ask them to have a "quick look" at your second child. If there is no appointment, there is no consultation. Simple as that. Sometimes, paediatricians have less than 10 minutes per patient and every minute spent on an unscheduled appointment is time taken out from a scheduled appointment. Because of all the love in the air that is directed towards this ‘miracle of life’, parents often go out of their way to make their child comfortable, and be as close to them as possible. They sleep in the same bed as their child, and yes, this is cute, but it is not ideal for the child’s future sleeping habits. Children who co-slept as babies stand a higher risk of not being able to sleep by themselves in early childhood, and some still carry this on to their teenage years. The reason is that their minds get used to the fact that they don’t have stay alone in a room. And when they are left alone, they develop silly excuses to stay awake for as long as they can. This could also lead to insomnia in adulthood. Parents are advised to let their children sleep alone from their sixth month (even if it is not for the entire night). This helps the child in many ways including dealing with fear of the dark and even night terrors.